The war between humans and Artificial intelligence (AI) has started years ago and it’s getting tough and wild now. Who will win? This is the question! It’s a real concern no doubt! Thus, it’s clear that machines can do only simple translation tasks, but far away from producing a sophisticated translation with all complexities of idioms, coherent flow, cultural nuances, syntax or semantics. And that’s where the human factor is dominating! AI and IoT may have succeeded in joining the race, but they are still at a distance of winning the first place. So, despite that we may not lose our jobs and replaced by AI and IoT, but we need to keep our guards up! We need to excel in language technology. 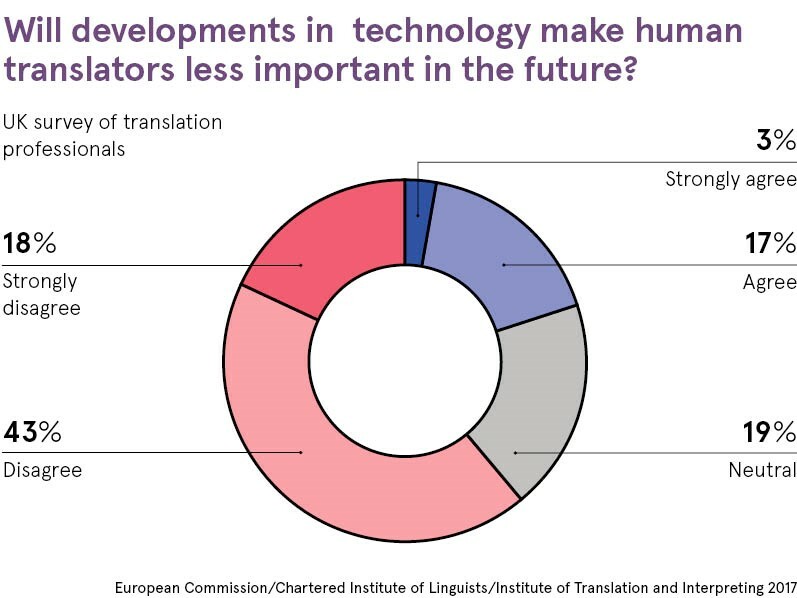 Translation industry stakeholders must be aware, oriented and trained to the AI and IoT applications to make best use of them to serve their needs and expedite the processes.